Iva Dubyak hosted a panel, “Queering Love: Re-Imagining Power,” in which she challenges the conventional ideas of love. Into the Current 2013 MFA Dance Thesis Performances The Mills College Dance Department presents Into the Current, which will showcase the culminating thesis works of the 2013 MFA candidates. Mills Art Professor Hung Liu’s exhibition is currently displayed at the Oakland Museum of California and renowned Bay Area figure Carlos Pedro Villa has passed away. 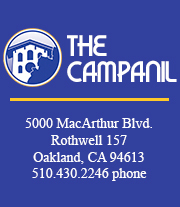 Joann was the Arts and Features Editor for The Campanil from Fall 2011 to Spring 2013. She was student of art history and contemporary theory (Graduated Fall 2013) with interdisciplinary interests in the Arts. During her time at Mills she founded an all girl John Cage cover band.